Some thyroid cancer (TC) survivors experience cognitive symptoms. The purpose of this study is to perform a systematic literature review and meta-analysis comparing cognitive performance in TC survivors to controls. We performed a seven-database electronic search and hand-search. We performed duplicate independent reviews and data abstraction. Random effects meta-analyses reported standardized mean differences (SMDs) with 95% confidence intervals (CIs), where a negative value implies worse performance in the TC group. We reviewed 1174 unique citations and 10 full-text papers. We included seven studies of 241 treated TC survivors and 273 controls. Cognitive function was statistically significantly worse in TC survivors in the following domains: Attention and Concentration (Digit Span Forwards) SMD − 0.37 (95% CI − 0.62, − 0.13, p = 0.003, four studies), Speed of Processing (Trail Making A) SMD − 0.36 (95% CI − 0.66, − 0.05, p = 0.022, four studies), and Language (Controlled Oral Word Association [COWAT]-Categories) SMD − 0.97 (95% − 1.31, − 0.64, p < 0.001, two studies). Executive Function results varied: COWAT-Letters SMD − 0.60 (95% CI − 0.94, − 0.27, p < 0.001, two studies), Digit Span Backwards SMD − 0.40 (95% CI − 0.64, − 0.15, p = 0.002, four studies), and Trail Making B test SMD − 0.20 (95% CI − 0.51, 0.10, p = 0.191, four studies). Statistical heterogeneity limited the COWAT-Categories and Digit Span Backwards meta-analyses. Cognitive function was worse in TC survivors in multiple domains. Limitations included few studies, potential confounding, and lack of prospective data. TC survivors may experience impairments in cognitive function and should report cognitive concerns to healthcare practitioners. This work was presented at the 88th Annual Meeting of the American Thyroid Association in Washington, DC, United States in October 5, 2018 (Poster 276). AMS was supported, in part, by a University of Toronto Department of Medicine Clinician Scientist Merit Award. The authors would like to thank Mrs. Coreen Marino, for assistance in retrieving the full-text papers for review. The authors would also like to thank Drs. Jan Jaracz and Moira A. Visovatti, for kindly responding to our queries about their studies. Library service expenses were funded, in part, from a University Health Network Thyroid Cancer Research Fund (private charitable donations to the UHN Foundation). Wechsler D. WAIS-III: Wechsler Adult Intelligence Scale. 3rd ed. New York: Psychological Corporation; 1997. Weintraub S & Mesulam MM. Mental state assessment of young and elderly adults in behavioral neurology. In Principles of Behavioral Neurology, pp. 71–123. Ed. MM Mesulam. Philadelphia, PA: FA Davis; 1985. Benedict RHB. BVMT-R: Brief Visuospatial Memory Test-Revised professional manual. Odessa, FL: Psychological Assessment Resources; 1997. Wechsler D WAIS-R Manual: Wechsler Adult Intelligence Scale. Revised. New York, NY: Harcourt Brace Jovahovich; 1981. Wechsler D, Kaufman A WAIS-III Escala de Inteligencia de Wechsler para Adultos III c. Madrid: TEA Ediciones SA; 1999. Lezak MD, Howieson DB, Loring DW Neuropsychological assessment, 4th ed. Oxford University Press, Oxford; 2004. Lee DY, Lee KU, Lee JH, et al. A normative study of the CERAD neuropsychological assessment battery in the Korean elderly. J Int Neuropsychol Soc. 2004;10:72–81. Benton AL, Hamsher K. Multilingual Aphasia Examination manual. University of Iowa; Iowa City; 1976. Strauss E, Sherman EMS, Spreen O. Compendium of neuropsychological tests: Administration, norms, and commentary (3rd ed., p. 502). Oxford: Oxford University Press; 2006. Nelson HE. A modified card sorting test sensitive to frontal lobe defects. Cortex 1976; 2:313–24. Heaton RK, Chelune GJ, Talley JL, Kay GG, Curtis G. Wisconsin Card Sorting Test Manual. Revised and Expanded. Odessa, Florida: Psychological Assessment Resources; 1993. Stroop JP. Studies of interference in serial verbal reactions. J Exp Psychol 1935; 18:543–662. Fellows LK. The role of orbitofrontal cortex in decision making: a component process account. Ann NY Acad Sci. 2007;1121:421–430. van Gorp WG, Altshuler L, Theberge DC, Mintz J. Declarative and procedural memory in bipolar disorder. Biol Psychiatry. 1999; 46:525–531. Spreen O, Strauss E. A Compendium of Neuropsychological Tests: Administration, Norms, and Commentary. New York, NY: Oxford University Press; 1998:1043. Byrd DA, Touradji P, Tang MX, Manly JJ. Cancellation test performance in African American, Hispanic, and White elderly. J Int Neuropsychol Soc. 2004; 10:401–411. Benedict RHB, Schretlen D, Groninger L, Brandt J. Hopkins Verbal Learning Test – Revised: Normative Data and Analysis of Inter-Form and Test-Retest Reliability. The Clinical Neuropsychologist 1998; 12 (1):43–55. Lezak MD, Howieson DB, Loring DW. Neuropsychological Assessment. New York, NY: Oxford University Press; 1995: 444–450. Lezak MD, Howieson DB, Loring DW. Neuropsychological Assessment. New York, NY: Oxford University Press; 1995:363–364. Spreen O, Strauss EA. A Compendium of Neuropsychological Tests: Administration, Norms, and Commentary. NewYork, NY:Oxford University Press; 1998: 208–212. International Agency for Research on Cancer 2017 GLOBOCAN 2012: Estimated cancer incidence, mortality, and prevalence worldwide in 2012. Available at http://globocan.iarc.fr/Pages/fact_sheets_population.aspx Accessed July 18, 2018. Rosenthal K. When cancer muddles the mind. 2009 New York Times. Available at: https://well.blogs.nytimes.com/2009/11/17/when-cancer-muddles-the-mind/ Accessed July 18, 2018. Tae BS, Jeon BJ, Shin SH, Choi H, Bae JH, Park JY. Correlation of androgen deprivation therapy with cognitive dysfunction in patients with prostate cancer: a nationwide population-based study using the National Health Insurance Service Database. 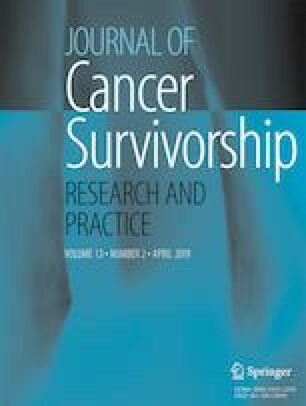 Cancer Res Treat 2018. doi: https://doi.org/10.4143/crt.2018.119. Higgins JPT, Green S. 2011 Recommendations for testing of funnel plot asymmetry. Cochrane handbook for systematic reviews of interventions. Version 5.1.0 Available at: http://handbook-5-1.cochrane.org/chapter_10/10_4_3_1_recommendations_on_testing_for_funnel_plot_asymmetry.htm Accessed January 31, 2019.